Tradewinds Legends download. Free download Tradewinds Legends game. Get carried away in this latest installment in the acclaimed Tradewinds Series. 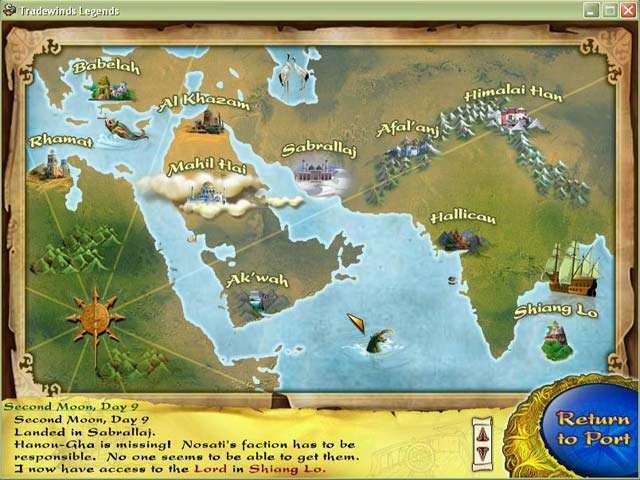 Sail, trade and battle with legendary heroes such as Sinbad in the mythical Far East. Enter a world of danger and intrigue as you complete over 100 unique tasks. Build a flotilla of ships armed with weaponry, both man-made and magic. Sail into the sky to discover new ports and engage in aerial combat with other magical sky ships. Encounter a world of legend, play Tradewinds Legends today! Trade And Battle With Legendary Heroes! Play Tradewinds Legends Online - Free! We have no player reviews for Tradewinds Legends yet.